About 20 large pieces of work will be on display starting September 20th and running through October 30th. More info can be found here. 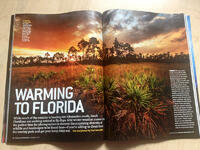 I am happy to have another article in Popular Photography Magazine. 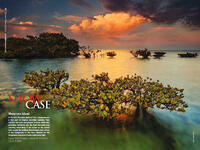 The December 2012 issue features an article I wrote about visiting South Florida in the winter, accompanied by 10 of my landscapes and wildlife images. My Florida landscape work, titled Wild Florida will be hung in Frameworks (3196 Commodore Plaza Coconut Grove 305-443-4581). The Meet the Artist is scheduled for May 5, from 6-10 to coincide with the Coconut Grove Gallery Walk. Refreshments will be served. My Meet Your Neighbours images will be on display at the Ernest Coe Visitor Center (40001 State Road 9336 Homestead, FL 33034) of Everglades National Park throughout the month of May 2012. A Meet the Artist will be held Saturday, May 5, from 10-noon. 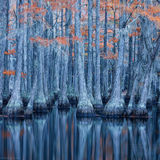 I am happy to announce my image, Mangrove Magic, was published in the December 2011 issue of Outdoor Photographer Magazine. Welcome everyone to the new Paul Marcellini Photography website. You now have the ability to purchase prints online, search the website for places, subjects, and even by color. I'm sure there will be typos hidden about so I would love it if you let me know when you find one. Thanks!